Sometime back, on one of the evenings, I had gone to attend a musical concert in a nearby hall. Two or three artists were supposed to perform at this concert, though I was aware of only one name, who I knew was a good singer. The hall, as expected was packed to the capacity but somehow I managed to find a seat. The first two singers performed rather well and enthralled the audience with their superb mastery over Indian classical music. It was really a good experience and I felt happy to be present. We had a small interval and as we got back to our seats, it was announced that the next singer, who would perform then, was the direct descendent and heir to a legend in contemporary Indian classical music, Pandit Bhimsen Joshi. Bhimsen Gururaj Joshi (February 4, 1922 – January 24, 2011), considered as an all time great, was an Indian vocalist in the Hindustani classical tradition. 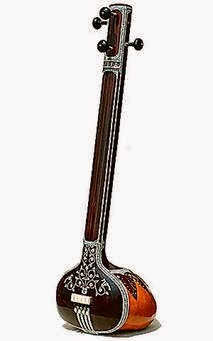 He is known for the khayal form of singing, as well as for his popular renditions of devotional music. In 1998, he was awarded the Sangeet Natak Akademi Fellowship the highest honour conferred by Sangeet Natak Akademi, India's National Academy for Music, Dance and Drama. Subsequently, he received the Bharat Ratna, India's highest civilian honour, in 2008. I have been lucky to be able to listen to the great maestro during his full bloom years in 1960's and 1970's. I also happened to have many of his recordings in my possession and have always considered him as one of the top singer of our times. It was no wonder therefore that on that evening I keenly awaited the next singing performance, as I was going to listen, for the first time, to a direct descendent of this great singer, who was ailing at that time. Coming back to the last singer of that day, he started tuning the Tanpuras. However, we all in the audience felt that he was rather taking a long time to do this. And that too with help of another well known disciple of the legendary maestro. Any way, finally the tuning part was over and he started with his reference note of 'Saa,' as is normally done by most classical singers. But,all of us in the audience then felt that something was missing or wrong. However, the artist continued with his performance and as time went bye, it became increasingly clear that I was listening to a vocal performance that could not be called a pleasing experiencel and was actually turning into a pain in the neck. After listening for 10 or 15 minutes, I quietly got up and left the auditorium, not able to bear it any more. That day I realised that the maestro's descendent was neither a prodigy like himself nor even a faithful follower of him. At least on that day, he showed a total paucity of talent. Pandit Bhimsen Joshi had 7 children; four from his first wife and three from his second wife. He was also a shrewd businessman. He had wisely invested his money in real estate and bank deposits. He made a will in September 22, 2008, according which, most of his real estate was distributed to the children from his second marriage. 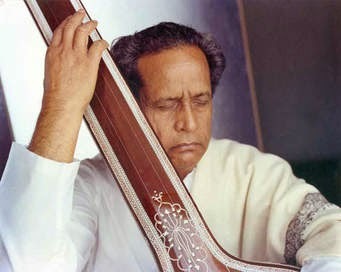 Raghavendra, Pandit Bhimsen Joshi's eldest son from his first marriage, challenged his will, after maeostro's death in 2011 alleging that his father was "86 years old and not of sound mind due to his illness and hospitalization for meningomia (brain tumour) for over a month'' before he made the will. He claimed that the eight-page will was drafted in a language that was uncharacteristic of a "simple and humble man'' and incorrectly stated that his first wife started living separately within a few months of their marriage. It was not backed by a medical certificate and its registration was questionable too. Panditji's second wife's children however contested this and say that their father received the Bharat Ratna in 2009 and gave media interviews which clearly show he was of sound mind. Joshi's own doctor and a senior Marathi journalist were witnesses to the will, they added. The lower court at Pune, passed an order in September 2013 by which Panditji's second wife's children were restrained from creating any third party rights in properties of the late Maestro. The row later landed in the Bombay high court with the heirs of Panditji locked in a bitter legal battle for his property worth at least Rs 100 million, apart from royalty from around 20 music companies. It saddens my heart to see that the heirs of a legend of our lifetimes are competing and fighting with each other for a slice of a property belonging to their father. I am sure that many people would have preferred to see the siblings competing with each other for the position of a true successor of the great singer by working hard to master his art and genius. They however seem to be fighting for the wrong legacy.